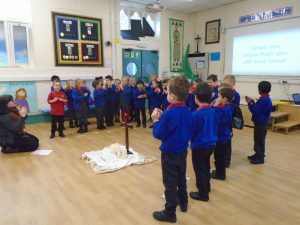 Year 1’s liturgy this week was all about Belonging. 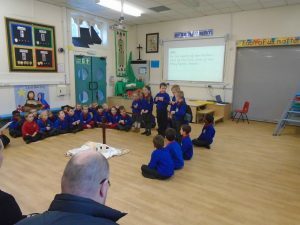 We have been starting to think about Baptism and what it means to belong to our class, our school, and the clubs we go to. 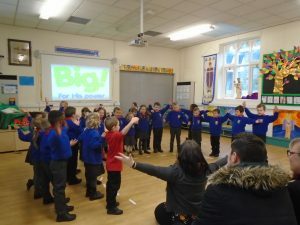 We have also been thinking about what it means to be part of God’s family. 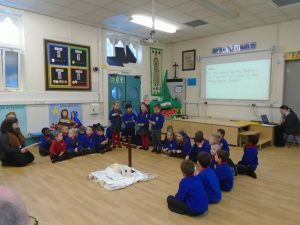 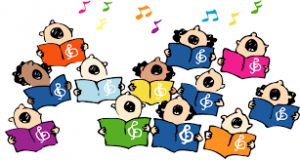 In our liturgy we shared our ideas with our families who came to watch, we acted out our Bible story about Jesus and the children, and we sang a super song. 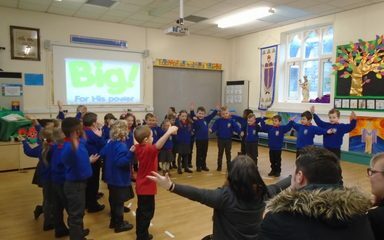 We had a brilliant time and we all felt very special to be part of our class and part of God’s family. 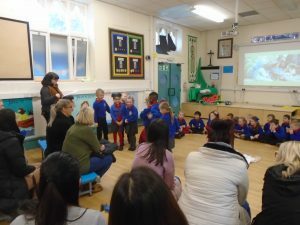 Thanks to all those who came to share in our special time together.